If you think your life is stressful, try being a new doctor. The first year after medical school, called internship, means round-the-clock hours, low rank, constant demands from patients and superiors, learning complex new skills and constant fear of making a mistake that could harm a patient. The result: A year of stress, sleeplessness and self-doubt that drives up thoughts of suicide to nearly four times the normal rate. But help may be as close as the smartphone in the pocket of an intern’s white coat. A new study shows that a free web-based tool to support their mental health may cut the rate of suicidal thoughts in half. The free web-based cognitive behavioral therapy, or wCBT, tool offers a digital, streamlined form of the “talk therapy” that mental health professionals provide in office visits. It’s called MoodGYM. The findings suggest that such a tool could help others in high-stress, high-pressure positions. The study was recently published in JAMA Psychiatry by a team led by psychiatrists at the University of Michigan and the Medical University of South Carolina, or MUSC, who have studied depression and suicide among medical students and young doctors for years. 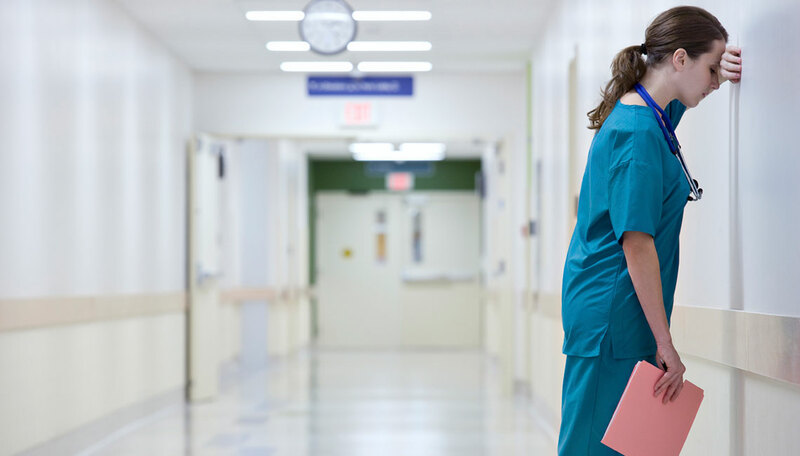 Teaching hospitals and medical schools could use the new results to guide mental health programs for interns, residents and medical students. Or, if nothing else, interns and others can use such web-based tools to help themselves. Medical interns make an ideal population to study wCBT’s effects, says Sen, because all of them experience a predictable sharp rise in stress and pressure with the start of their residency. There aren’t too many other populations like that to study. Sen’s past work has shown just how prone that makes them to depression. Sen and Guille tested the app on 199 interns. All volunteered to take part, and half were randomly assigned to use the wCBT group. The other half got general information on depression and suicide and contact information for mental health professionals. In all, one in five of this latter group thought about suicide sometime in their internship year – compared with one in eight of those who used the MoodGYM. Most of those assigned to use the MoodGYM site stuck with it, using it all year. Sen and colleagues are working to build on the success of the wCBT test by developing an app designed specifically for medical trainees. It will focus on specific situations and stresses new doctors encounter. They’re not affiliated with MoodGYM’s developers from the National Institute for Mental Health Research at the Australian National University. Other studies have shown that wCBT can help people treat existing depression but never in a randomized controlled way to prevent mood problems in a group whose stress level changes almost overnight and remains high for an entire year. In addition to Sen and Guille, the paper’s authors are Kathleen Brady, M.D., Ph.D., of MUSC; Zhuo Zhao, M.S., of U-M; John Krystal, M.D., of Yale University; and Breck Nichols, M.D., of the University of California, Los Angeles. The study was funded by the National Institutes of Health (HD055885, DA039318, MH101459) and the American Foundation for Suicide Prevention. Top photo: A free web-based cognitive behavioral tool offers a digital, streamlined form of the “talk therapy” that mental health professionals provide in office visits.